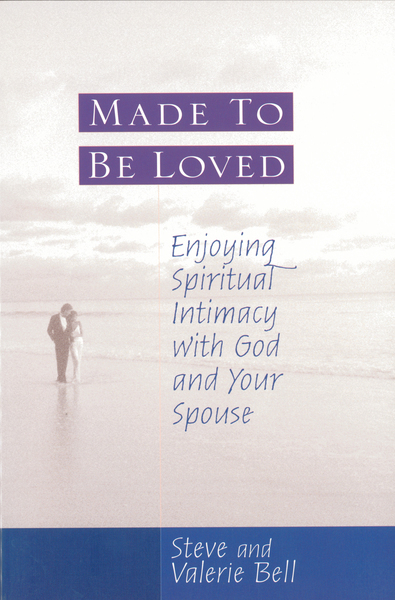 While desired, the idea of spiritual intimacy is scary and even threatening to some couples. They've tried those other couples devotional books, but sharing Bible study and prayer time together just doesn't come naturally. And when these sharing times seem awkward and manipulated, many couples put the book back on the shelf and simply go on as they were before. If this sounds all too familiar, Made to Be Loved is the sip of cool water for your thirsty marriage. Steve and Valerie Bell encourage couples to go beyond treating the symptoms of a marriage that lacks spiritual intimacy and go straight to the root of the problem. The real disease that threatens marriages is spiritual distance from God. According to the Bells, "when a husband and wife invite God into their marriage, their perspectives change. Hearts are softened, expectations become more realistic, sexual relations take on a soulish sweetness, even fights get better!" Take your marriage to the next level with the help of Steve and Valerie Bell. Develop a deeper love relationship with you God, and in doing so, create a whole new atmosphere in your marriage.